GP Global, formerly Gulf Petrochem Group, announced the expansion and strengthening of its global bunkering operations with 12 strategic appointments to senior roles across its key offices around the world. “Following the recent re-branding of the group, our efforts are now focused on consolidating our business across all key international markets and these appointments of experienced professionals is the next step in making this happen. Our bunkering division has witnessed exponential growth over the past year as a result of our expanded footprint in the ARA and APAC market with other global offices. We believe that investing in the right talent is the key driver to ensuring our organisation’s continued progress. They bring a wealth of expertise in the bunkering business that will accelerate our growth as a global organisation, helping to add even better value for our customers. 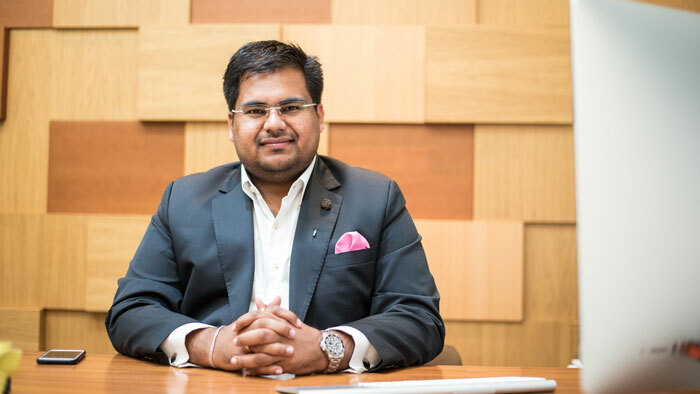 The knowledge and skills that the new team members bring is an asset to our company that will enable us to gain significant industry leadership by assuring our customers with strong market insights,” said Prerit Goel, group director at GP Global. “As far as our East of Suez business is concerned, our physical location in Fujairah has grown from one barge to three. We will add one more barge to our fleet by the end of this year. Apart from our physical supply, we have grown our back to back to sales and are exploring the marine lubricants sector too,” said Anil Keswani, head of Bunkering, East of Suez at GP Global. The new appointments cover GP Global’s offices in Geneva, Switzerland; London and Hull, UK; Sharjah and Dubai in the UAE; Mumbai, India, and Singapore. Among the key management appointments, Steven Taylor will be the lead in charge of Physical Supply, West of Suez, based in Hull, UK. Christopher Morgan has been appointed as lead – Bunker Credit Management for global operations and will be based out of the UAE and Rotterdam offices of GP Global. Suman Chatterjee is lead – Bunker, based out of Mumbai, India.